OPEC agreed to maintain its current oil production levels at the meeting. 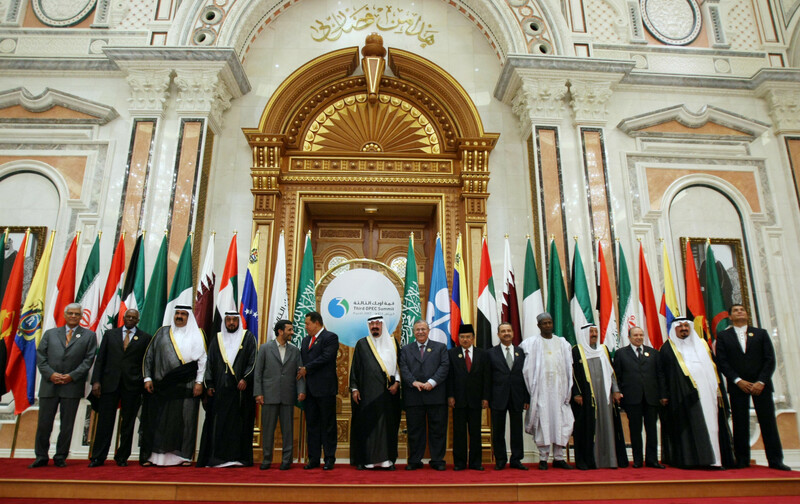 The Organization for Petroleum Exporting Countries is set to maintain its oil production and will continue flooding the market after their Vienna summit. The association comprising of the oil cartel ended its meeting on Thursday keeping their existing output policy. The lack of decisive action is revealing continued dissent within the group as well as the countries’ confidence that their current strategy for all-out production is able to reset the market imbalance. The OPEC summit, however, had some issues as Saudi Arabia proposed to implement a production quota range for all members with the aim of restoring a sense of unity within the fractured group, according to a Nigerian delegate. OPEC members, however, did not come to an agreement regarding the proposal given by Saudi Arabia. Saudi Arabian energy minister Khalid Al Falih submitted the proposal that could limit oil production output of OPEC to a range of 31.8 million to 32.5 million barrels a day. The proposal would pull down OPEC’s current production of 32.77 barrels per day. After the OPEC summit, oil prices have fallen to $48.25 per barrel down by 1.5 percent. Despite their differences, OPEC managed to agree on two lower-profile issues. The group successfully voted Mohammed Barkindo as its new secretary general replacing Abdullah al-Bardi from Libya who was acting secretary general. Another issue OPEC resolved was to allow West African country, Gabon, to rejoin the group. The country will be the smallest nation among the members. The group’s decision to stop any change in production quotas mirror the members’ confidence that their current strategy is working. OPEC continued to maintain their quotas even as oil prices fell in the November 2014 supply glut to take more market share away from more expensive producers in the U.S. and in other countries. “In the future, we may need that (quota), but at this time the atmosphere is positive and the market is comfortable for us,” according to Mohammed bin Saleh al-Sada, Qatar’s energy minister, during a press conference. OPEC’s continuous flooding of the market didn’t cost the U.S. its oil boom, but the country’s higher prices have forced them to produce less. Oil production in the U.S. is down to 500,000 barrels per day down from its peak in April 2015. OPEC believes that supplies from non-member countries will go down by 740,000 barrels per day for this year because of lower cash flows and cuts in investment. “The market is moving through the balancing process,” according to OPEC in a statement following their meeting. While OPEC has agreed on certain issues it is clear that there is still tension in the group specifically between Saudi Arabia and Iran as the latter is not conforming with any limits on their output, similar to the failed Doha “freeze” summit in April. The next OPEC meeting will be on November 30 in Vienna, but market conditions could force them to meet earlier.